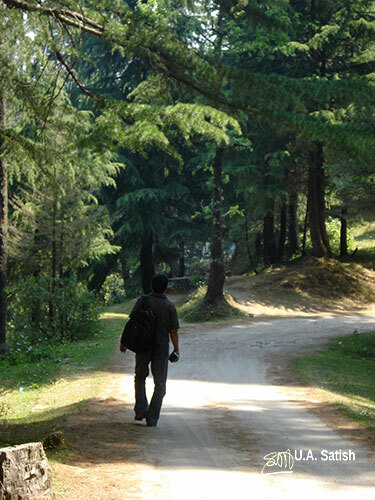 Kalatop Forest is one of the best wildlife sanctuaries in Himachal Pradesh. 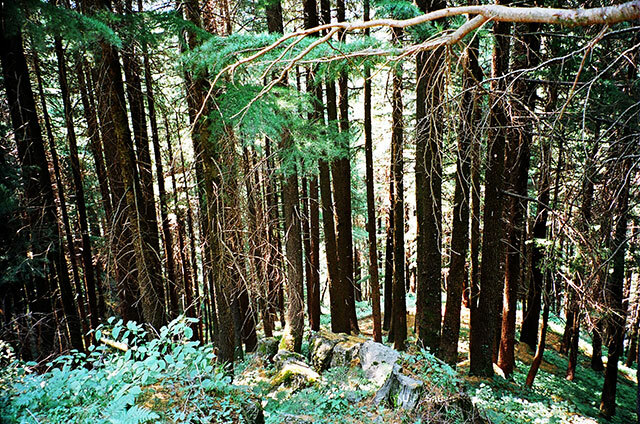 The area is covered with cedar and pine trees. Himachal Pradesh is in the outer Himalayas and Kalatop is at an altitude of 8,000 feet. Kalatop is 8 km from Dalhousie. The roads in Himachal Pradesh are cut on mountain slopes. There is often a sheer drop on the other side. Passing a car or army truck on the narrow and winding roads is not without risks. Driving on these roads is a highly skilled job. Border Roads Organisation maintains many of the roads. We passed a few army trucks along the way. Cars attract an entry fee of Rs 250 at Kalatop. For bikes, it is Rs 50. I suppose the high fees are meant to minimise the number of visitors. From the entry gate, visitors can travel 3 km through the forest. It is a dirt track and walking will be a more enjoyable option. At he end of the track, you will reach the Forest Rest House. 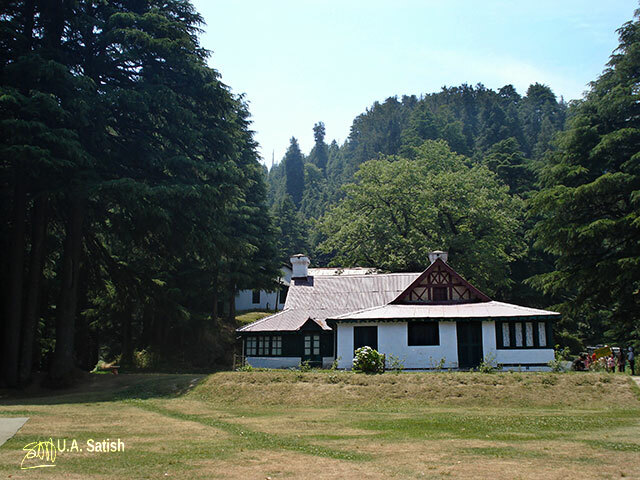 The Forest Rest House (FRH) is a colonial style bungalow with pine trees all around it. There is a large lawn in front. The bungalow comprises of two bed rooms, a dining room and living room. The FRH is generally reserved for government officers. Additionally, two Tourist Huts at the back provide five more bedrooms. The rooms have wooden floors and furniture from the British era. Each room has a fireplace. All the bedrooms have attached bathrooms with modern fittings. 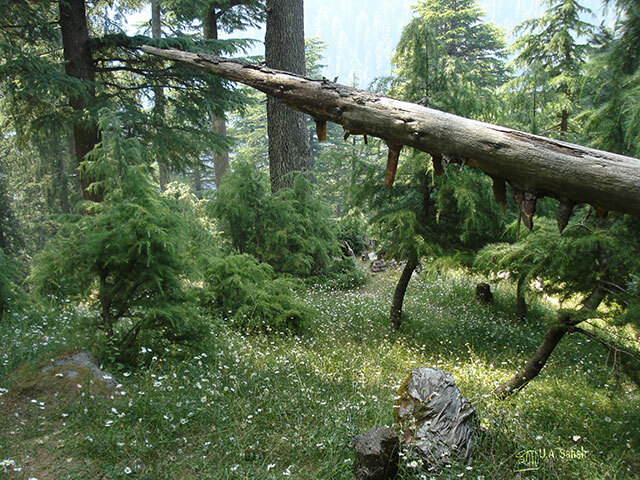 During the day, the area has many visitors who come on day trips from Dalhousie and other parts of Himachal Pradesh. In the evening, they vacate the place. 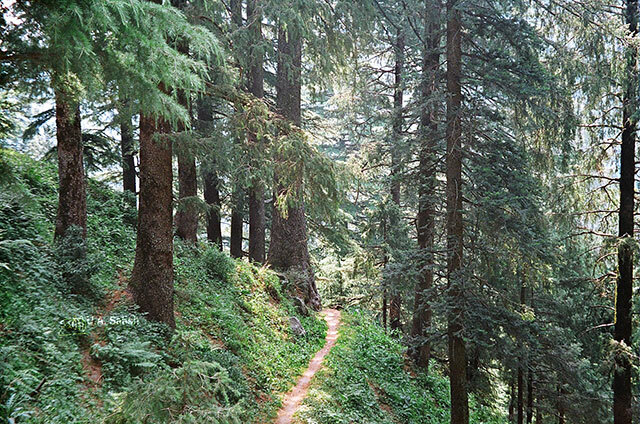 Trekking trails go from Kalatop to Dalhousie, Joth Pass and Khajjiar. The services of trained and experienced guides are available at FRH. A number of animals live in the forest. This include black bear, leopard, deer, langur, Himalayan Black Marten, barking goral and jackal. But we did not see any of the animals while we were there. The forest has a large variety of birds. 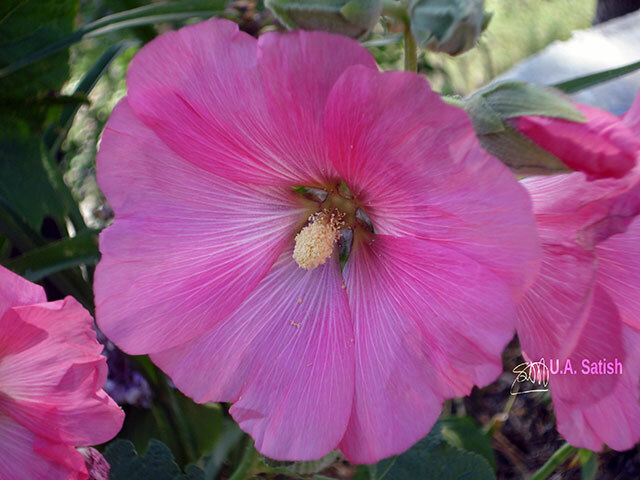 The best time to watch them are early mornings and late evenings. 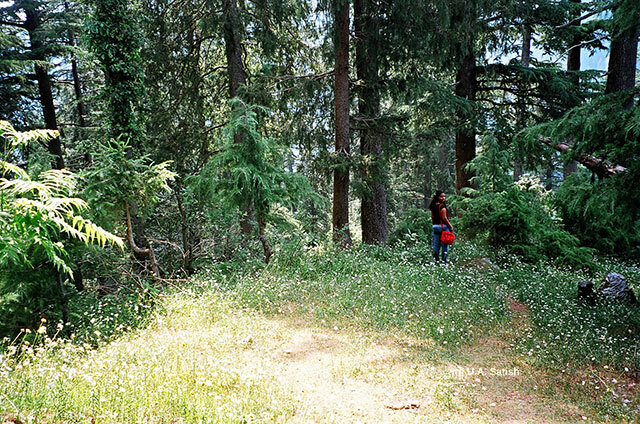 The vegetation consists of large tracts of pine and deodar (cedar) forests. 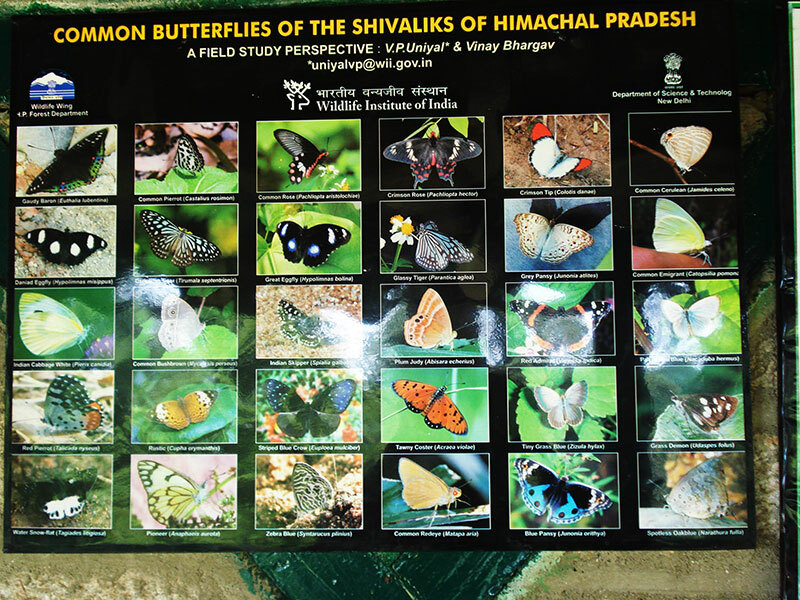 I came across a poster at Kalatop which shows some of the common butterflies of Himachal Pradesh. See the picture above for more details. I hope you have liked the post. If you have questions, please use the Contact Form to get in touch with me. Post your comments in the box below.